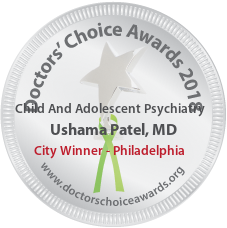 Dr. Patel works in Philadelphia, PA and specializes in Child & Adolescent Psychiatry. 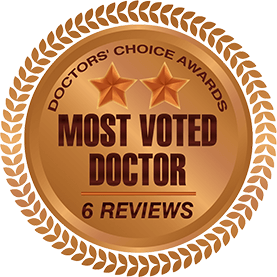 Dr. Patel is an intelligent, thorough and highly competent doctor. She is a dedicated physician and patient educator. She is also a good colleague who is always available for discussion and guidance. I highly recommend her for doctors choice award. Dr Patel is highly intelligent, diligent and compassionate person. She consistently delivers high quality services. She is an excellent diagnostician with impressive skills. She is clinically and culturally sensitive, nurturing and deeply committed to the needs for her patients. She is well respected and liked by colleagues. She is known for her professional and ethical standards which are exemplary. She is just an excellent physician and person too !!! I have worked with D. Patel and she is an excellent and caring physician. I have seen her interacting with her patients and families and is very dedicated in providing the best care for them. She also works very well with the entire team and always is well respected by everyone. I find her very hard working, dedicated, caring and passionate towards her patients. I highly recommend her for the doctors choice award and also wish her good luck in everything she chooses to do. ! Well organized, super clinical skills, and wonderful personality make Dr. Ushama Patel a joy to be around. 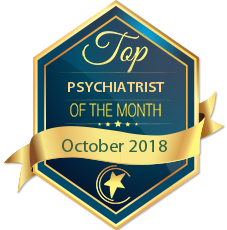 Dr. Patel is an exemplary psychiatrist with whom I have had the pleasure of working alongside during my medical career. Dr. Patel served as my attending psychiatrist, first during medical school, and later as a resident. I now have the privilege of calling Dr. Patel a colleague, and I continue to seek her professional council. 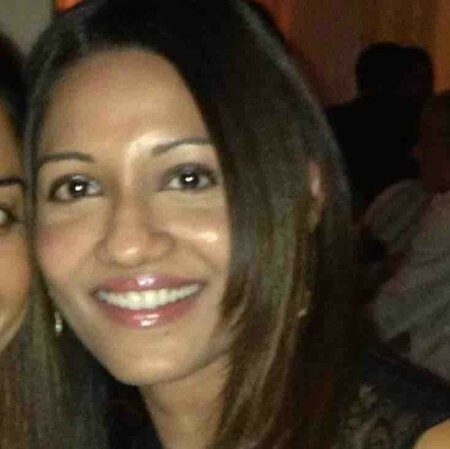 Dr. Patel is dedicated towards her profession and practices with skill and compassion. Her strong ethical principles and consistency in practice habits provide structure and reassurance to our treatment teams and comfort the families that she serves. I first witnessed Dr. Patel’s clinical prowess during training in the child and adolescent crisis response center in Philadelphia, PA. She taught medical students, residents, and fellows the value of attention to detail, efficiency, and thorough clinical formulations. She was well known for demanding a high standard of care for her patients and ensured that trainees practiced accordingly. I highly recommend Dr. Patel for this prestigious award as she continues to contribute to our field and help many. It is with immense pleasure that I write this review for my most favorite and esteemed colleague – Dr. Ushama Patel. I have worked with her for several years and I am impressed by her intellect, hard work and dedication towards her patients. She cares very deeply for her patients and is very compassionate. She also takes a lot of time to educate her patients about their illnesses. I have also seen how organized she is about her work and is also very compassionate towards her colleagues. I think she truly deserves the doctors choice award as in my opinion, she is one of the best doctors that I have worked with. I have know dr Ushama Patel for past few years as we worked together . I have seen her dedication since all these years. I’ve also seen her contribution to academics by teaching residents and fellows for past 8 years . I have also seen her compassion towards her patients and always striving very hard to do the best for them. Her practice methods are very sharp, organized and it involves evidence-based medicine. She is very well read and Her clinical acumen is very impressive. I would often approach her to discuss cases and would often leave learning something new. I think she Truly deserves the doctors choice award. 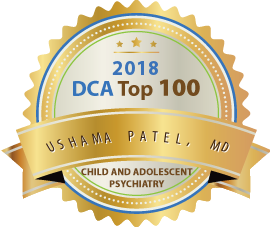 I have worked with Dr. Ushama Patel for the past few years and I have always been impressed to see how much her patients love her. They always look forward to Seeing her. I have always seen her being very compassionate, caring and always available to talk to her patients when they leave messages or want to talk to her. I’ve also always see her return phone calls in a very timely matter to her patients which has always impressed me as doctors are busy juggling so many things. She is very thorough and her clinical evaluations and her clinical acumen is very sharp. She also provides a lot of education to her patients and families. She also works very well as a team player and she is very compassionate and caring towards her colleagues as well. I truly wish her all the best for the future and to continue being a great physician . She is an asset to the community and well appreciated by her colleagues. I highly recommend her for the doctors choice award.